In general, it has been revealed that grants from the central government to local government, which does not undertake responsibility for local finance, cannot guarantee efficient financial management. This observation is based on the recognition through experiments that the central government bails out local governments when they face a default caused by their lax management. This problem is called a soft budget constraint, which was defined by Kornai (Econometrica 47:801–820, 1979; Economics of shortage. North-Holland, Amsterdam, 1980; Kyklos 39:3–30, 1986) as occurring when a bailout from the central government incurs local financial management that allows for ex post bailout to the local governments (Akai (Financ Rev 82:79–101, 2006, In Japanese) summarizes previous theoretical studies on soft budget constraint in detail.). 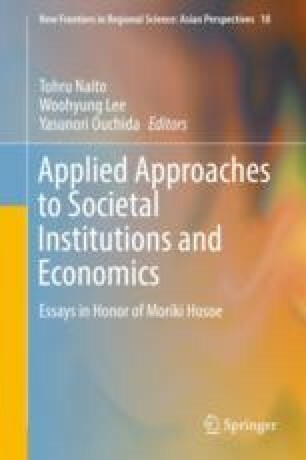 In the case of Korea, Oh (Kor J Public Adm 46(3):121–143, 2008) analyzed the circumstance of Korean local finance and concluded that the soft budget constraint problem arises readily in Korea because local finance has a high level of dependence on the central government due to the serious local tax revenue imbalance, and this high dependence impedes the autonomy and responsibility of the local government. This work was supported by the National Research Foundation of Korea Grant funded by the Korean government (NRF-2014S1A3A2044643).